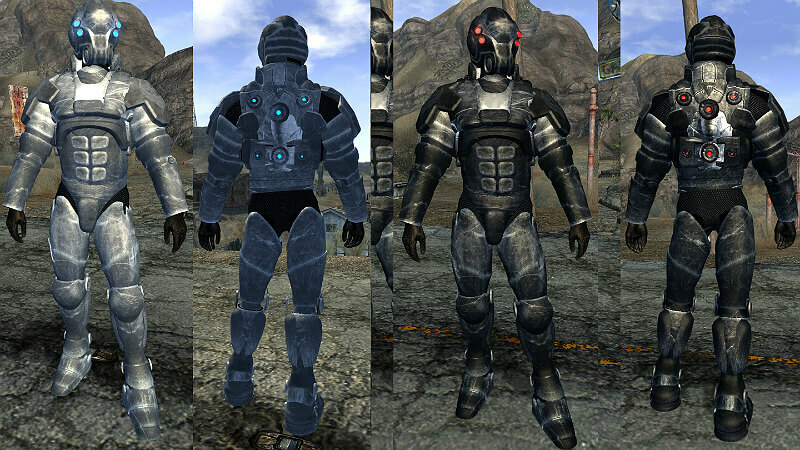 This guide contains the locations of all unique armor in Fallout New Vegas. This guide does not include the locations of unique armor added by DLC. This guide may include some minor quest spoilers. Worn by Ambassador Crocker. Ambassador Crocker can be found inside the NCR Embassy in the New Vegas Strip. You will need to loot the armor. Worn by Benny. 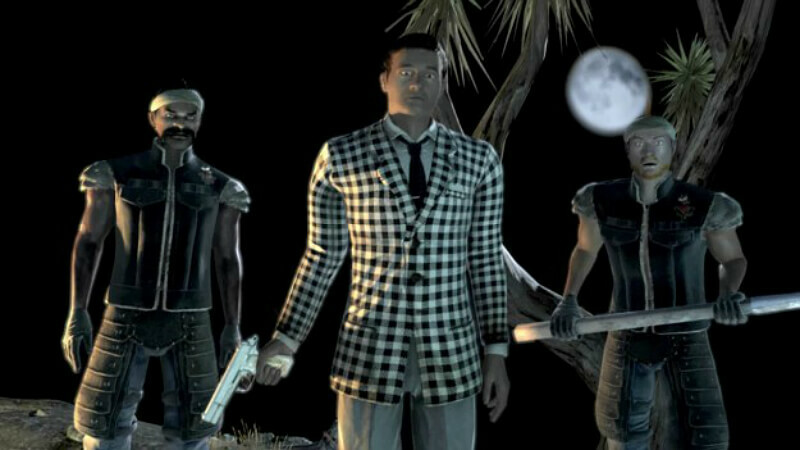 Benny can be found inside The Tops in the New Vegas Strip during the quest “Ring-a-Ding-Ding!” or in The Fort during the quest “Render Unto Caesar”. You will need to loot the armor. Worn by Elder McNamara. Elder McNamara can be found inside the Hidden Valley Bunker in Hidden Valley. Worn by Elder Hardin if Elder McNamara was deposed during the quest “Still in the Dark”. Elder Hardin can also be found inside the Hidden Valley Bunker. You will need to loot the armor. Reward from Julia Farkas at the Old Mormon Fort in Freeside once your reputation with the Followers of the Apocalypse reaches Idolized. Worn by General Oliver. General Oliver can be found in Hoover Dam during the quest “Veni, Vidi, Vici” or at the Legate’s Camp during the quests “No Gods, No Masters” and “All or Nothing”. You will need to loot the armor. Purchased from Mick at Mick & Ralph’s[fallout.wikia.com] in Freeside. Speech 30 will be required to convince Mick to let you see his special stock, allowing you to buy this. You can also steal the armor from Mick’s special stock. Worn by Aaron Kimball. Aaron Kimball can be found at Hoover Dam during the quests “You’ll Know When It Happens” and “Arizona Killer”. You will need to loot the armor. Worn by Dermot. Dermot can be found in Westside. You will need to loot the armor. Located in the Sheriff’s Office in Primm. Located in the Ultra-Luxe Penthouse Suite in the Ultra-Luxe Casino on the New Vegas Strip. The armor is guarded by Gunderson Hired Hands. Purchased from Sarah Weintraub in the Vault 21 Gift Shop on the New Vegas Strip. The armor is not always in stock. Worn by The King. The King can be found in The King’s School of Impersonation in Freeside. You will need to loot the armor. Located on a bed inside the Followers Safehouse. The key to the Followers Safehouse given to you as a reward from Julia Farkas at the Old Mormon Fort in Freeside once your reputation with the Followers of the Apocalypse reaches Idolized. Worn by Caesar. Caesar can be found at The Fort. You will need to loot the armor. Located inside the Hoover Dam. It’s in a wooden crate inside a storage room on the office level of the Hoover Dam. Worn by Orion Moreno. 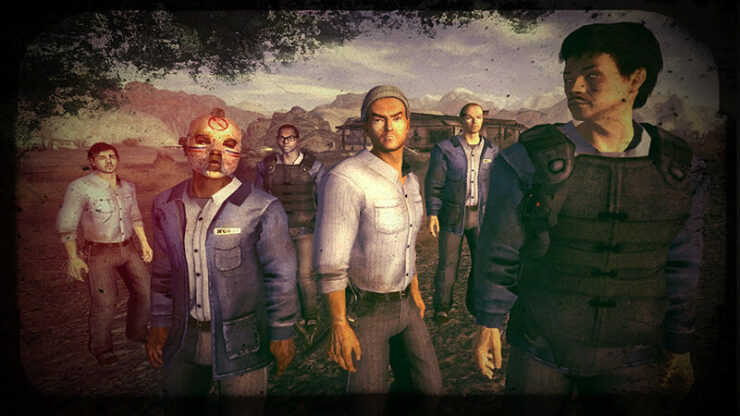 Orion Moreno can be found inside his house just north of the NCR Sharecropper Farms. You will need to loot the armor. Worn by The Lonesome Drifter. The Lonesome Drifter can be found sitting under a billboard just north of El Dorado Gas & Service if the quest “Talent Pool” is not completed, or in the Aces Theater at The Tops on the New Vegas Strip after the quest “Talent Pool” has been completed. You will need to loot the armor. Found in the underground rocket hanger at REPCONN Test Site. The underground rocket hanger will not be accessible until Jason Bright opens the door during the quest “Come Fly With Me”. Reward from Arcade Gannon in the Remnant’s Bunker after completing the quest “For Auld Lang Syne”. 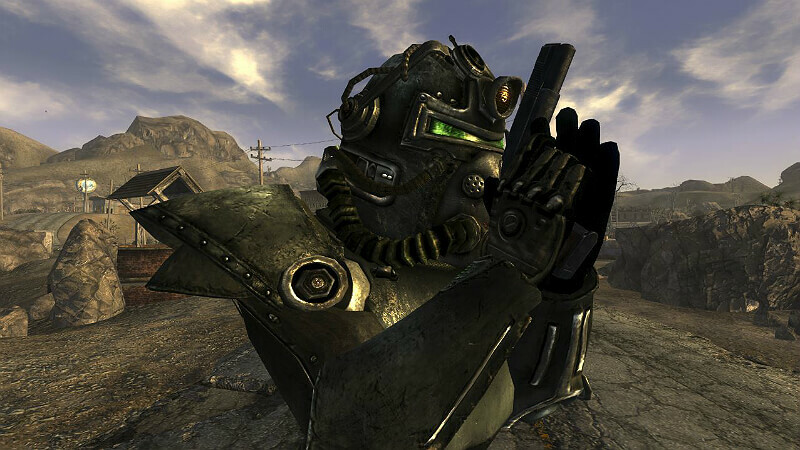 In order to receive this armor, during the quest “For Auld Lang Syne” you must convince the Remnants to fight for the NCR and convince Arcade Gannon to stay with the Followers of the Apocalypse. Worn by Caleb McCaffery. 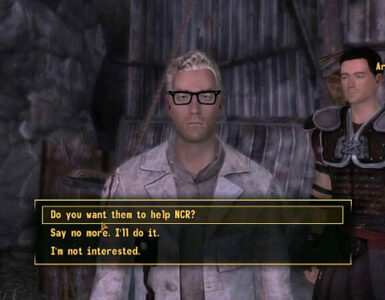 Caleb McCaffery can be found in the New Vegas Strip during the quest “Debt Collector”. 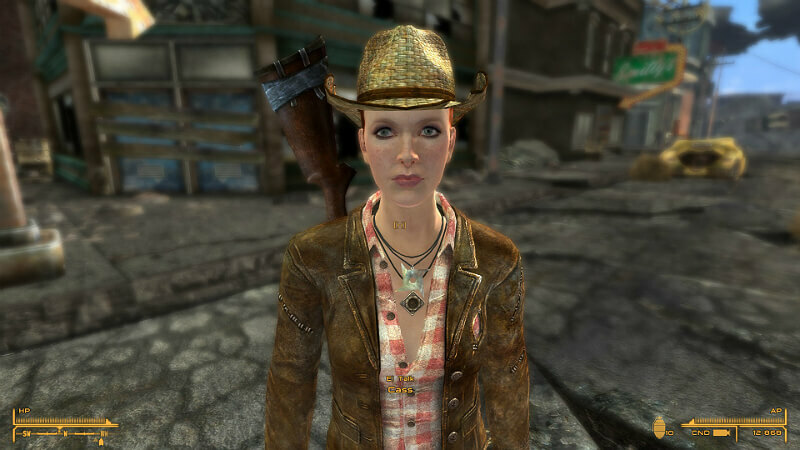 The quest is initiated by Francine Garrett at the Atomic Wrangler in Freeside. You can convince Caleb McCaffery to give you the armor with Speech 40. You can also loot the armor. Worn by General Oliver. General Oliver can be found in Hoover Dam during the quest “Veni, Vidi, Vici” or at the Legate’s Camp during “No Gods, No Masters” and “All or Nothing”. You will need to loot the armor. Worn by Jessup. Jessup can be found in the Great Khans Hideout in Boulder City if the quest “Boulder City Showdown” is not completed, or in Red Rock Canyon after the quest “Boulder City Showdown” has been completed. You will need to loot the armor. Found in The Devil’s Throat. It’s inside the blue truck at the bottom of The Devil’s Throat. The armor is guarded by centaurs. Found inside the Searchlight Police Station in Camp Searchlight. You can also loot the armor from Dermot in Westside. Found in a refrigerator along the road leaving Goodsprings. Can only be found with the Wild Wasteland trait. Worn by Mortimer. 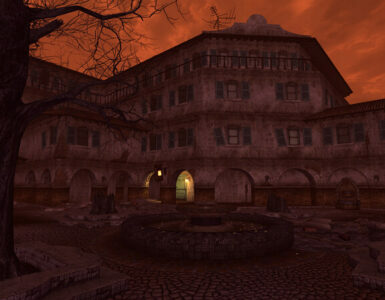 Mortimer can be found in the Ultra-Luxe Casino in the New Vegas Strip. You will need to loot the armor. Worn by Sammy Wins. Sammy Wins can be found inside the Wins Hideout near Westside. You will need to loot the armor. Worn by Pauline Wins. Pauline Wins can be found inside the Wins Hideout near Westside. You will need to loot the armor. Worn by Legate Lanius. Legate Lanius can be found in Legate’s Camp during the quests “No Gods, No Masters”, “All or Nothing”, and “Eureka!”. You will need to loot the armor. Worn by Motor-Runner. 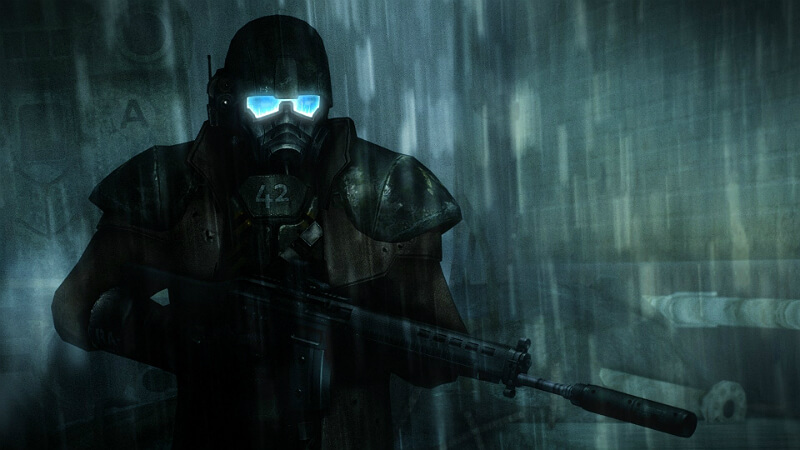 Motor-Runner can be found in Vault 3. 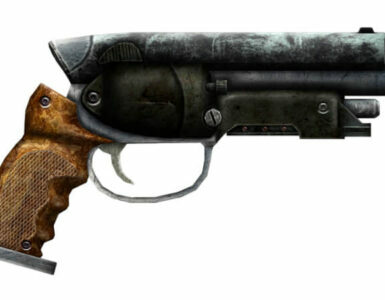 You can purchase it from Motor-Runner using a bribe during the unmarked quest “Bounty Killer”. You can also loot the armor. Found in Freeside. It’s on a corpse in a ruined building across from Mick & Ralph’s. You also receive one during the quest “Still in the Dark” if it is initiated without having Veronica as a companion. Found on a bed in the Caesar’s Legion Safehouse. The key to the Caesar’s Legion Safehouse given to you as a reward from Lucius at The Fort once your reputation with the Caesar’s Legion reaches Liked. Reward from Mick inside Mick & Ralph’s in Freeside for completing the quest “How Little We Know”. You will need to ask Mick how business is going before initiating the quest “How Little We Know”. The quest “How Little We Know” can be initiated by Mr. House in the Lucky 38 in the New Vegas Strip during the quest “The House Always Wins IV”, by Yes Man in the Tops Casino in the New Vegas Strip during the quest “Wild Card”, by Liz O’Malley in the NCR Embassy in the New Vegas Strip during the quest “For the Republic, Part 2”, or by Joana in Freeside after completing the quest “Bye Bye Love”. You need to side with the Omerta bosses during the quest. After completing the quest, you must convince Big Sal to start buying weapons from Mick & Ralph’s again to acquire this armor. Given to you by Jack inside the Nellis Hangers during the quest “Volare!”. The quest is initiated by Pearl in Pearl’s Barracks in the Nellis Air Force Base. 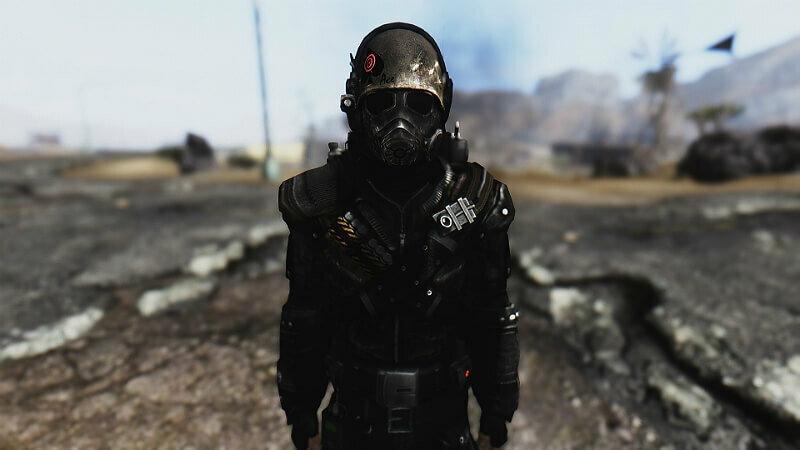 Fallout: New Vegas + NVSE + 4GBPatch working!